First it was a fight against open defecation and a rush to build toilets to improve sanitation coverage and go open defecation free (ODF) under the Swachh Bharat Abhiyan. 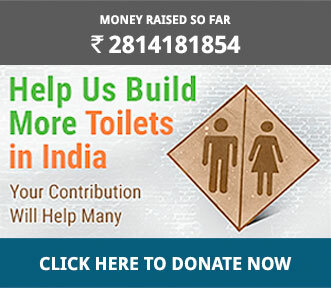 Now the challenge is to get people to use the toilets and sustain the ODF status. 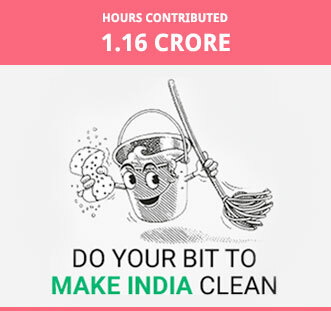 In a bid to encourage toilet usage and raise awareness about cleanliness and hygiene, the Ministry of Drinking Water and Sanitation (MoDW&S) instituted a unique competition ?Swachh Sundar Shauchalaya Contest' (Clean Beautiful Toilet Contest). As part of the competition, households are to be judged on the basis of how well decorated and maintained their toilets are. 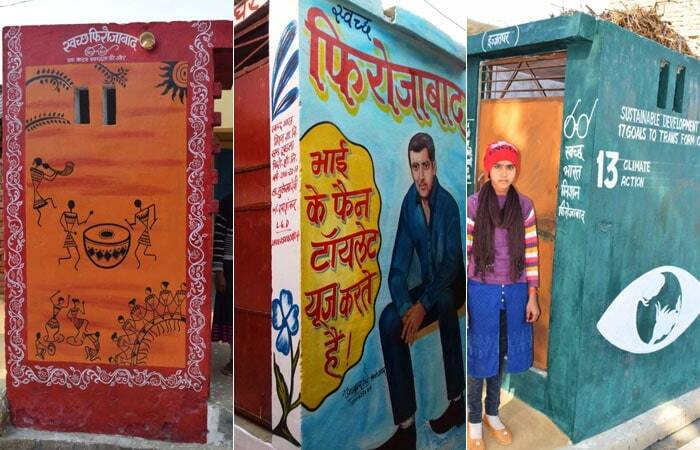 The month long activity which started on January 1, saw one crore toilets being decorated. Here is a glimpse of the creativity that some districts and villages exhibited to be part of the contest. 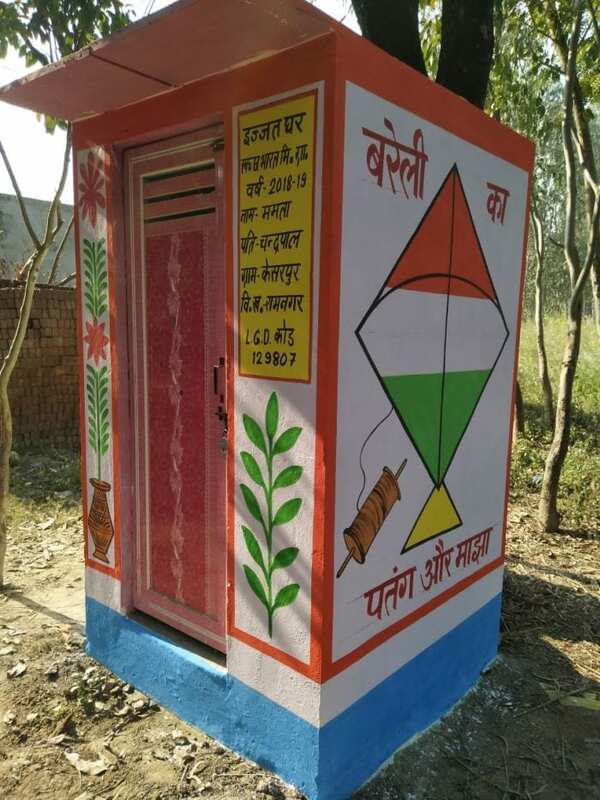 Villages in the Firozabad district of Uttar Pradesh adopted a distinct theme for decorating their toilets. While Kolamai village chose to depict United Nations' Sustainable Development Goals (SDGs), Tundla Kham village took inspiration from hand painted movie posters and opted for Bollywood theme and other villages resorted to cultural wealth like Warli painting from Maharashtra, Madhubani from Bihar and others. 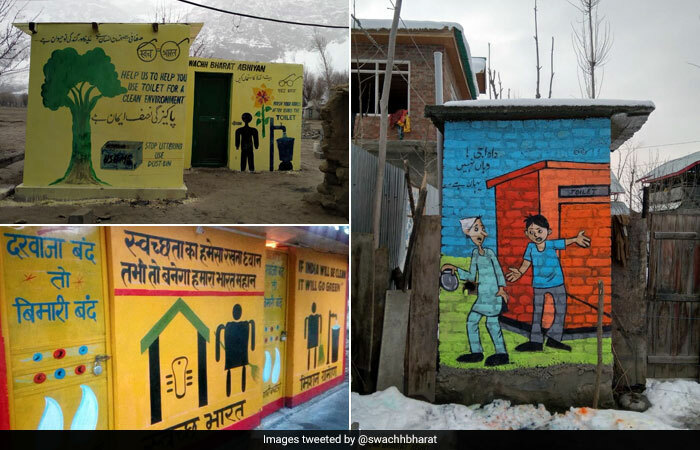 From asking people not to defecate in the open to promoting waste management and hand washing, different aspects of Swachh Bharat Abhiyan got depicted on the walls of toilets in Jammu and Kashmir. 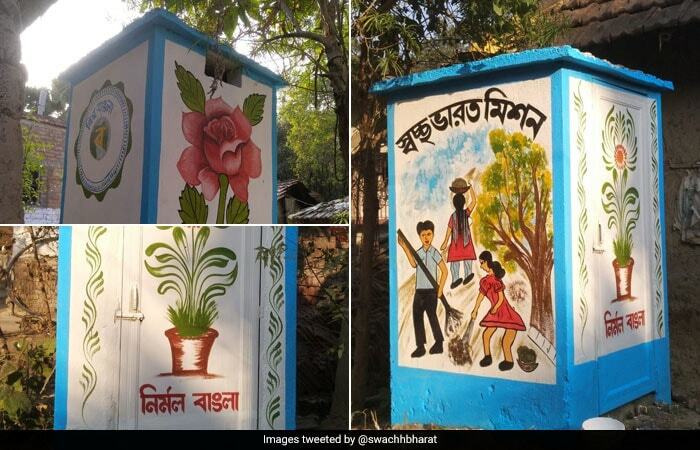 People in Murshidabad district of West Bengal showcased their creativity by beautifying their household toilets with floral painting and contributing to the cause of building a Swachh and Swasth Bharat (Clean and healthy India). 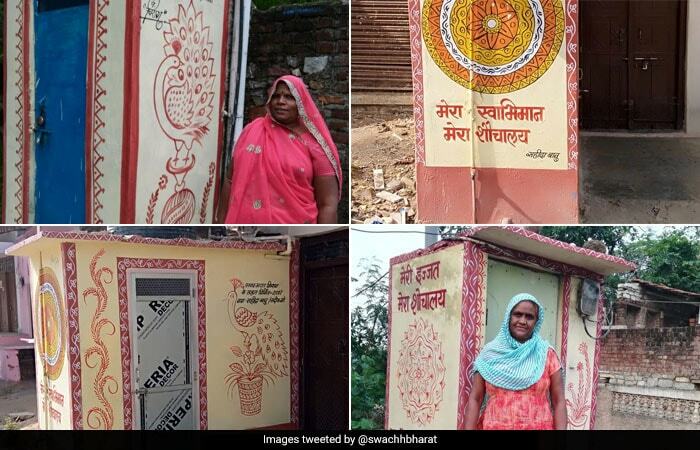 Promoting toilet usage through messages like ?No toilet, no bride' and ?Shrine is a temple for soul and toilet is a temple for the body', people in Gariaband district of Chhattisgarh participated in the toilet beautification contest. 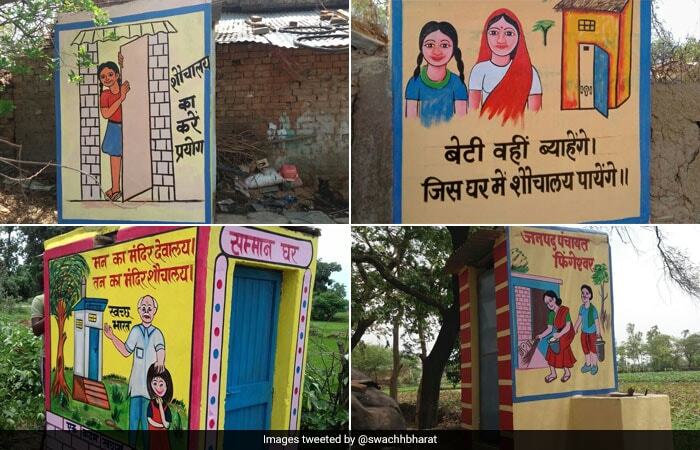 Toilets in Rajasthan have been decorated with motivating one-liners and murals with women leading the way to encourage other women to not just have a toilet at their home but to actually use it. So toilets were painted with messages like ?my pride, my toilet', ?my self-respect, my toilet' and ?my respect, my toilet'. 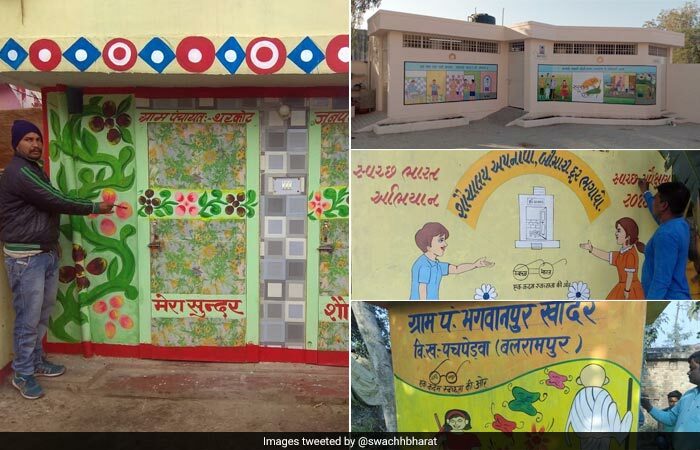 In Varkund panchayat of Daman district, people have decorated toilets with floral patterns and Swachh Bharat Mission logo along with slogans that guide people to fulfill the dream of Mahatma Gandhi and clean India by 2019. To win the Swachh Sundar Shauchalaya Contest, Bareilly in Uttar Pradesh decided to depict the cultural heritage of the city through the toilet paintings. From the very famous Bareilly ka jhumka (earring), soorma (kajal), to Ahichchhatra Qila, Lilour lake, Patang manjha and other things that are integral to Bareilly's identity were painted on the walls of 20,000 toilets.